Could the humble chocolate roll have a more Halloween themed makeover if it tried? These are the ultimate. Marks and Spencer have take the cross of Halloween and Colin the Caterpillar brand very seriously indeed. These Count Colin The Caterpillar chocolate rolls have amazing attention to detail in the decoration. 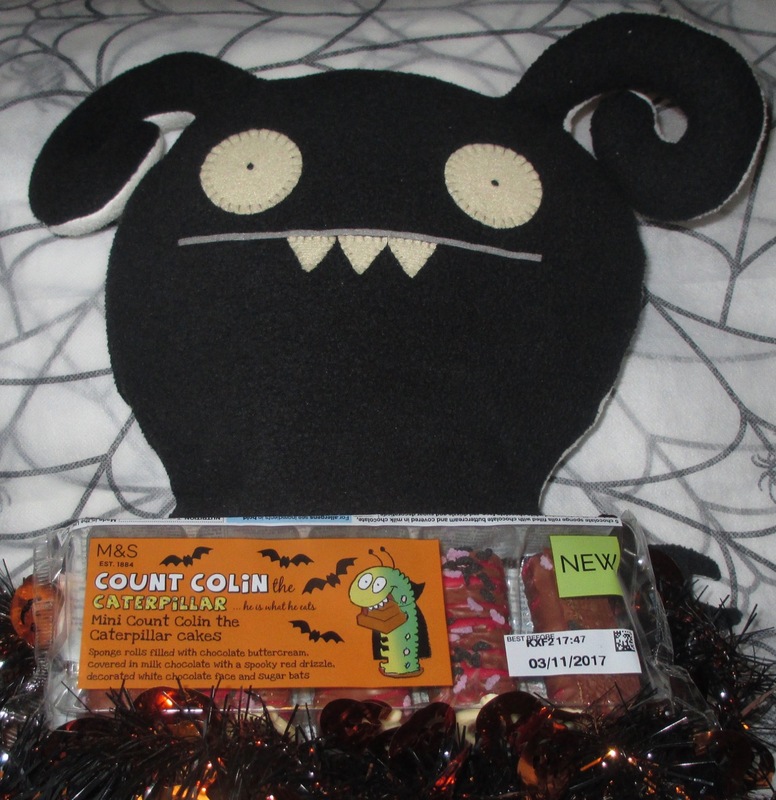 There is a white chocolate face showing off a Colin the Caterpillar but with blood red fangs. 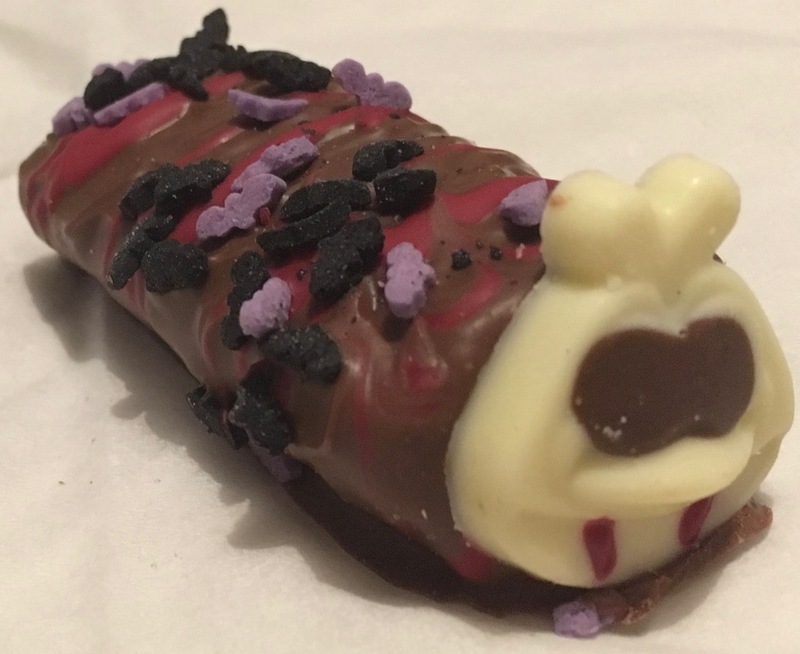 There are bats adorning the back of the chocolate roll, in mixed colours of purple and black, and just for good measure some streaks of red icing looking very ghoulish. I can’t praise them enough for the appearance of these mini rolls, they are absolutely perfect to look at. Flavour wise they are just chocolate though, there is a layer of chocolate coating the roll, a soft chocolate sponge and a layer of chocolate buttercream tucked inside. They are very easy to easy and have a good milk chocolate flavour. The best thing about though is the design, they are just so wonderfully themed. If you are having a party Marks and Spencer do a large version of this cake which also looks stunning, and would surely be enough to keep the Trick or Treaters at bay.